In late 2014 we announced that Galway games studio 9th Impact had released NinjaGo Endless Runner on Google Play. It is still on our frontpage banner. In the 2 months following launch, the app has been downloaded more than 15,000 times from Google Play with over half a million games played in that period. Today, the Galway team have good news for Apple users. The game is now available in the App Store with versions for both iphone and ipad resolutions. 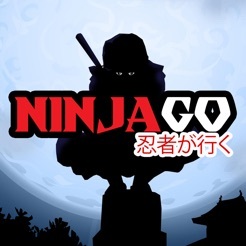 The game is free to play and features a Ninja running through different terrain (levels) jumping, somersaulting and using weapons. It features “gamer thumbs” controls which is a departure from the more usual “swipe actions” of other games in the Endless Runner category. It is January and that time of year when secondary school students, people thinking of a career change, and those interested in further training, are galvanised by the CAO deadlines in the Republic of Ireland and the UCAS system in Northern Ireland (which has different deadlines!). Here on gd.ie we usually get a good few emails around this time of year from people looking for information on courses and advice. Last summer one of our key goals was to update our database of all of the games related courses at levels 6/7 and beyond that are available both in the Republic and Northern Ireland. Today we are relaunching our database of game related courses. While we still have some formatting work to do, time was ticking so we thought we had better get the info out there. Our database will allow you to search for courses by institution, course name/type and location. There are around 150 courses of different levels here from public and private institutions. Some of these courses are directly designed for those thinking of entering the games industry, others are less directly targeted but offer relevant skills. Thus our database should be a nice complement to the CAO and UCAS databases. This is a volunteer effort by members of the gd.ie community with special assistance from K. Vesikko. Let us know what you think and if you like it, share it! #IrishGameDev in the news – 18 Jan. Following in the wake of two articles in the Examiner newspaper which we have linked to in our forums, Róisín Burke from The Sunday Business Post (SBP) wrote two articles in yesterday’s paper (18th of Jan. 2015) on the Irish games industry. One focused on asking what has happened since the government launched its Action plan for the Games Sector in Ireland in 2011 and set out a number of measures which it claimed could double the numbers employed in ‘core game activities’. On foot of this a cluster group was established to implement the plan. This group included industry, academic and other interested representatives. Games Ireland was formally incorporated around this time, as an industry representative body for the games industry in Ireland and held a high profile event in the Shelbourne hotel attended by industry representatives from Europe. See images below of an Taoiseach End Kenny and David Sweeney, then chair of Games Ireland and in the second image Paschal Donoghue (TD) and Barry O’Neil (StoryToys) from this event. Paschal Donoghue (TD) was at that stage one of the most prominent political figures promoting the games industry. Games Ireland were also participants in the cluster. The Clustering Development Team has to date not published a report and there is no public records of their activities (do correct us if there are!). According to the SBP articles Games Ireland appears to be declining to agree to publication of a report without some key issues being included and the ‘team’ has been in hibernation now for almost a year. Meanwhile David Sweeney stepped down as chair of Games Ireland towards the end of 2014 to concentrate on his European work. He has been replaced by Paul Breslin of Riot Games. Paschal Donoghue has moved to a new appointment as Minister for Transport, Tourism and Sport. In the second article we see some discussion of the potential impact of a new tax credit system for game development introduced in the last year in the UK. Some Irish companies are considering establishing offices in Northern Ireland or in the UK to take advantage of both the tax credit and funding via cultural funding agencies. So together with the articles in the Examiner, a rather somber picture is presented and the action plan is looking rather lifeless. Zoodazzle is happy to announce a GameCarver Workshop in the Synergy Centre, I.T. Tallaght on Saturday, January 31st. The workshop will run from 9am to 1pm. Lunch and refreshments will be provided on the day and we hope it will be a lot of fun as well as the chance to use one of the coolest new game technologies for game development. The workshop is open to all but limited to only 20 places and will be allocated on a first-come-first-serve basis. There will be ample free parking available at the venue. You will need to bring a Windows based laptop – but all other software and licensing for GameCarver will be provided free on the day. To get the most from the workshop, we expect attendee to have some experience in game development – either as an artist, coder or game designer. Where can I get more information on the event? Limerick Institute of Technology (LIT) and the Limerick School of Art and Design (LSAD) are pleased to announce the launch of a new Bachelor of Science (Honours) Degree in Game Art and Design. This programme will run on the LIT Clonmel campus where it will compliment our current suite of digital programmes including Digital Animation Production and Creative multimedia. The first of its kind in the country, this honours degree programme has been created to address the need for creative graduates who possess a unique blend of artistic and technological skills. This will support the continued growth and success of the games industry both nationally and internationally. The programme aims to develop graduates who can create high quality game content, design game levels and work with industry leading content creation tools, scripting languages and games engines. The programme has been welcomed by key Game industry stakeholders both nationally and internationally and it addresses key recommendations of the 2011 Forfas report “The Games Sector in Ireland: An Action plan for Growth”. World renowned Game Designer Brenda Romero, who recently visited LIT Clonmel for two days as part of a Fullbright Fellowship to Ireland, assisted in the design of this new programme. “A unique aspect of this Bachelor of Science programme from a national perspective is that all applicants must present a portfolio of relevant work. This will ensure that entrants to the programme have an aptitude and interest in the field of Game Art and Design”. We are very excited to announce our first student intake for September 2015 at our Clonmel campus. Bluebear is looking for a junior programmer to join our engineering team and help develop new and exciting games for our expanding library of titles. We are interested in hearing from talented programmers eager to get their career in game development started. Prior work experience is helpful but not required. If you feel that you are a gifted programmer, then we would encourage you to apply even if you do not have all of the skills/qualifications listed below. As programmers ourselves, we understand that a strong programming aptitude will allow you to pick up new technologies quickly. *Display high standards, good attention to detail and a methodical work process. Familiarity with the best apps on the App Store and an appreciation for beautiful UI. The position is available on a full time basis. Salary will depend on the candidate/experience level. Bluebear is an independent game studio based in the heart of Dublin, Ireland. We are focused on bringing innovative titles to the casual gaming market and have a passion for quality and beautiful design. We believe in creating fun games that offer strong user engagement and that allow our users to be creative. Our 36 apps have been downloaded more than 60 million times since the companies inception. We’re building out a team of extremely talented people and have huge ambitions for the future. See www.bluebear.ie for more and for other positions. The weekend allows you to explore the process of development, be it programming, iterative design, narrative exploration or artistic expression. It is all condensed into a 48 hour development cycle. The GGJ encourages people with all kinds of backgrounds to participate and contribute to this global spread of game development and creativity. In January 2014, they had 488 location in 72 countries create over 4000 games in one weekend! GGJ 2015 is January 23-25. This year four locations are listed for the Ireland – Pulse College Galway, IT Carlow, Griffith College Dublin and LIT Thurles. See the website and then contact the individual venues. Call for speakers for Women in Games Conf. A call has opened for speakers and panellists to speak at the annual Women in Games industry event on September 10th, 2015 in London. This is a European conference and it welcomes speakers – men and women – from Ireland and outside of the UK. There is a deadline of July 11th for all those interested to make contact with their ideas for a conference which last year attracted over 200 delegates. The Conference will take place on September 10th at London South Bank University at the invitation of Siobhan Thomas, Director of the very successful BA (Hons) Game Cultures course. The conference will include again the European Women in Games Hall of Fame Awards where last year Rhianna Pratchett, Siobhan Reddy and Zuraida Buter joined the Hall of Fame. Pavel Barter talks to John Halloran, co-founder of SixMinute Games, about how the independent mobile game studio rose from the ashes of PopCap to become a leading light in Irish game development. Failure is not always an option, but the team at SixMinute Games consider it a stepping stone to success. In January, 2014, the independent development studio began developing mobile game Pick A Pet. Six weeks later, the game had a soft launch in the Philippines. In Pick A Pet, players use pets, each sporting a special power, to match puzzles. Would people enjoy the idea? How long would users play it? How frequently would they change pets? SixMinute had dozens of questions about the game – and only players could provide the answers. As it happened, Pick A Pet was a triumph. The game amassed around 25,000 users in the Philippines within a few weeks. Having ironed the creases out of the game, the company launched it in Ireland in April, 2014, followed by a global launch in July. Halloran is in the rec room of SixMinute’s offices, in a building off Dublin’s Camden Street. Much has changed since September, 2012, when US developer PopCap, creator of hit franchises Bejeweled and Plants Versus Zombies, closed the doors of its Dublin offices. SixMinute, which has 11 employees at present, inherited the attributes that made PopCap a world leading mobile developer. Notably, a focus on design and polish. When Halloran first started working for the company in 2005, making a Nokia version of a PopCap title, he needed to raise his game. “In PopCap, everyone has to understand game design, whether you are a programmer, a tester, producer. It’s key to everything,” he says. John Halloran became a mobile game aficionado early in his career. At Abertay University, in Dundee, his training was geared toward AAA games for PlayStation or Xbox, and working in large teams. But he found himself working in mobile at an early stage of the technology, developing the J2ME mobile game MotoX, while still in Scotland, in 2005. When PopCap closed its doors in 2012, almost 100 jobs were lost. “I don’t think it’s a failing of the part of people in Dublin,” reasons Halloran. “PopCap was going through a lot of changes at the time – there were cuts across the board. 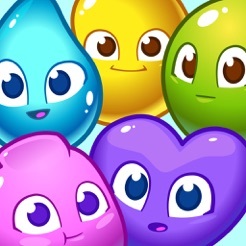 Five PopCap alumni – Séadna Long, John Halloran, Rory Walsh, Brian O’Donnell, and Paul O’Donnell – stayed in Ireland to establish their own company, although Walsh dropped out along the way. Some outsiders considered it a risky venture. Surely having five directors would lead to creative disagreements and contractual difficulties? Four founders (From left to right: John Halloran, Séadna Long, Brian O’Donnell, Paul O’Donnell). SixMinute was self-funded for its first six months. They were founding members of the Games Ireland incubator unit in the IFSC in early 2013, and secured investment that summer. By this time, they had released Monster Mini-Games for Facebook. Using Nintendo’s WarioWare as inspiration, Monster Mini-Games, released as an Android app later in 2013, was a collection of casual games with names such as Monster Pop, Egg Head, Monster Match, Flapper, Whack-A-Monster, and Word War M.
In the end, Monster Mini-Games was too high concept for most players. Despite there being precedents with games such as Dumb Ways to Die and Mario Party, SixMinute could not get the overall meta-game to work. Was it a risky venture for a first project? SixMinute are not scared about taking risks when making games, but Monster Mini Games proved that self-publishing has pitfalls. So for its next game, the company partnered with a publisher, FingerSoft in Finland. Since its launch in 2014, Pick A Pet, for iOS and Android, has hooked players around the world. SixMinute is confident the game will break a million downloads in its first year. In December, 2014, another Finnish company launched the game in China. And the story is not over. Players, eager to tackle new levels, are constantly waiting for new content updates. SixMinute use the freemium model, simply because it would be difficult to operate a company of this size with premium games. Pick A Pet has an in-app currency that allows players to purchase items and feed their pets. At the end of each level, you can buy more turns. The studio has begun to integrate video advertisements into the game, as an alternative for users to buying premium currency. While this makes up only a few per cent of revenue stream at present, Halloran predicts it will increase in the future. SixMinute’s model of mobile game production affects everything from team-size to recruitment. Pick A Pet had six or seven people working on it when in full production. Now a couple of developers manage the project, whether testing, designing new levels, working with artists, or dealing with business partners in Finland and China. Halloran looks for multi-tasking skills in everyone he recruits. SixMinute’s Irish base has advantages. The company has a symbiotic relationship with Google and Facebook. In December, 2014, Halloran gave a talk for Google business leaders about his experience of making games and running a small games studio. “They help us out quite a bit,” he adds. As well as nurturing Pick A Pet, SixMinute has started work on two new casual games. In 2015, the studio hopes to release a game on Android-based TV platforms, such as Amazon Fire or Nexus Player. The business of mobile gaming, though, is constantly evolving. One constant will remain: casual games that capture the world’s imagination. While John Halloran is optimistic about Ireland’s position in the global gaming hemisphere he contends that the country needs a breakout hit: a Tetris or an Angry Birds, developed on Irish shores.